Advanced Search is a flexible, customizable tool that allows users working in Helm CONNECT on the cloud to design the searches that meet their needs. You can search open and overdue maintenance or compliance items—maintenance routines, inspections, inventory counts, forms, tasks, and corrective actions—for all the assets in your fleet. With this new tool, you can either search on-the-fly or use previously saved searches. You can also share your saved searches with other users. Where do I find Advanced Search? You'll find the two Advanced Search tabs—Advanced Search and Manage Searches—in Overview on the Maintenance menu. On the Advanced Search tab, you'll see a series of filters near the top of the tab. Advanced Search is optimized to handle large data sets so the page is designed to open blank, wait for your input, and then load the results once you click the Search button. Run a search on the fly Use the filters to set up your search criteria, then click Search. To refine your search, adjust the filters then click Search again. Run a saved search Select the saved search from the list, then click Search. You can change the search criteria to refine your search without changing the original saved search. The Manage Searches tab allows you to create and edit saved searches, as well as share them with individuals or entire divisions. You can use role-based permissions to control which users have access to this tab. From the Maintenance menu, select Overview. Click the Manage Searches tab. Click the New Search button. Near the top of the tab, enter a name for the new search. In the Search Filters section, select the filter or filters you'd like to use, then click Save Changes. From the list of saved searches, select the one you want to edit then click Edit. Make any necessary changes, then click Save Changes. On the Manage Searches tab, you can share saved searches with individual users or with all the users in a division. Once you share a search, the other user or users will see it in the list of saved searches on both the Advanced Search Manage Searches tabs. Shared searches can be duplicated by any user who receives them. If someone duplicates a search, he or she becomes the owner of the copy, but not of the original search. Searches shared with individuals can be removed by any of the receivers. This removes it from his or her Manage Searches and Advanced Search tabs, and also removes his or her name from the Shared With Users list on the search owner's Manage Searches tab. Searches shared with divisions cannot be removed by any of the receivers. From the list of saved searches, select the one you want to share then click Edit. From the Share With Users list, select one or more users. From the Share With Divisions list, select one or more divisions. Version 1.11 (the first release) We started the transition to Advanced Search slowly, giving you time to try the new tool and decide how best to configure it for your company. Version 1.12 (the previous release) We made the Advanced Search and Manage Searches tabs available beside the Details tab in Maintenance > Overview, to give your users time to learn the new tool while continuing to work on the Details tab. You decided which users should have role-based permission to the Advanced Search and Manage Searches tabs. Version 1.13 (this release) We removed the Details tab from Maintenance > Overview. Mid-2019 The Advanced Search feature currently lives under the Maintenance menu. 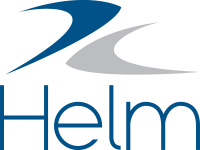 We know Helm CONNECT Compliance customers want to use this feature to manage their forms and corrective actions in one place, so we will move Advanced Search to a better location on the Helm CONNECT menu in a later release.